Adding polish to our application is taking longer than the initial tech demo. That’s pretty typical. But at least we’re done with dots. 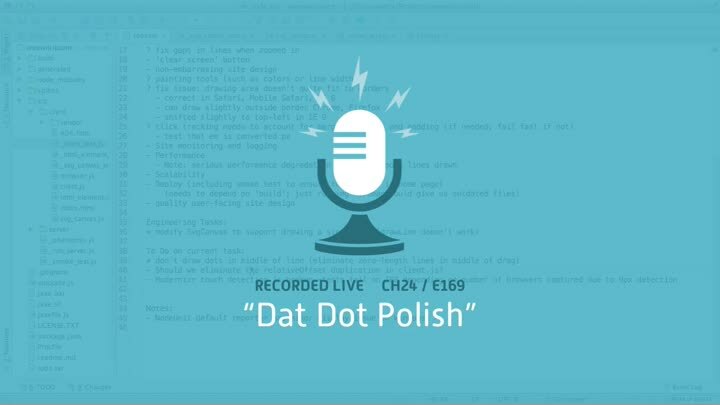 In this episode, we take care of the issue with dots appearing in the middle of lines and do a last bit of cleanup. That finishes the chapter and brings our app one step closer to release.